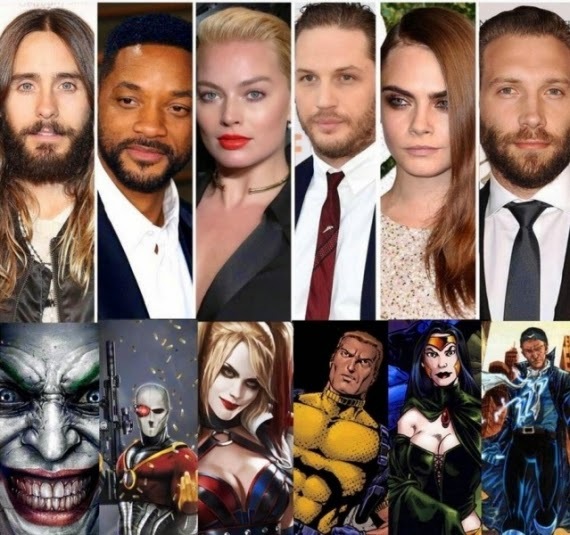 The Suicide Squad cast features 2 musicians turned actors: Will Smith and Jared Leto! Aaliyah: Already a best-selling musician before she turned 18, Aaliyah helped turn "Romeo Must Die" into a classic film with her acting chops. Her onscreen chemistry with Jet Li in the updated Shakespeare tale landed her larger roles that would have made her a major film star had she not been killed in an airplane accident. Russell Crowe: Russell never wanted to be an actor. His life ambition was to be a rock and roll star. To that end he took acting jobs to support his singing career. As people began to realize that he was one of the most brilliant actors of his generation, he was able to finance several tours and concert dates for his band, but he never was able to make it full-time as a musician. Boyd Tinsley: Boyd is a multi-talented singer and musician who plays violin for the Dave Matthews band when he is not modeling. He has been helping and mentoring in his community since he was younger. Recently, he collaborated as a writer and producer on a movie called "Faces in The Mirror" that received strong reviews for its ability to tell a story without a lot of narrative. One area that distinguishes him from other talented musicians who have turned to acting is his ability to use writing as an avenue to extend his repertoire. Will Smith: Anyone who remembers Will Smith being bloated like a pufferfish in "Hitch" or earnestly trying to keep his son with him in "The Pursuit of Happyness" may know that in addition to being a best-selling musician, he is a great actor. What they may not know about him is that he also successfully made the transition to producer- and produced both of those movies along with a host of other films that he has starred in. There have always been a number of musicians that have managed to develop themselves into cross-over stars on the stage. From J-Lo to Mandy Moore to Justin Timberlake and Mark Wahlberg, having time in front of audiences and entertaining them seems to be a natural entree into work as an actor. For a small minority of musicians, like Tinsley and Will Smith, applying their talents on the film making side has also brought them success.